“Nouveau Livre” On The Horizon | Christoph Mueller – Official Website. 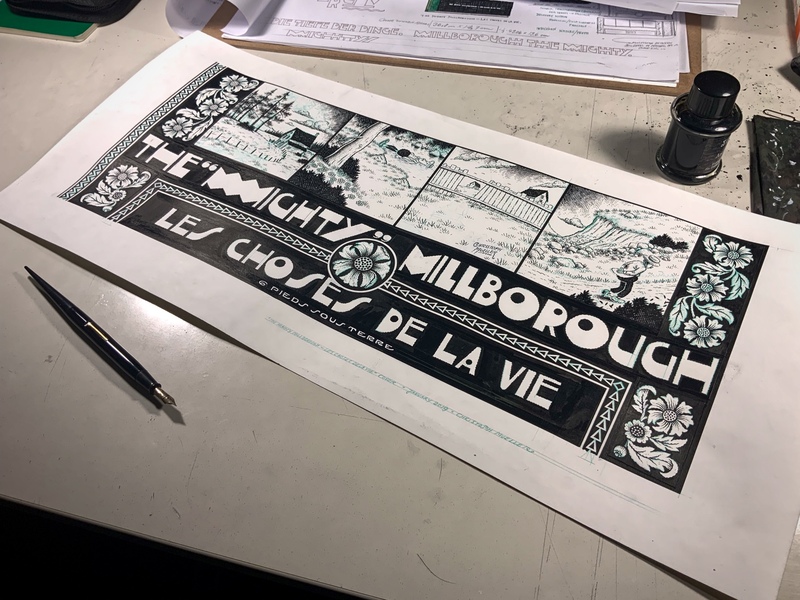 I am currently wrapping up work on my upcoming book and am happy to announce that “The Mighty Millborough – Les choses de la vie” will be released in November 2019 in the French speaking realm of Europe. Once again I am joining forces with the fine folks at 6 pieds sous terre éditions, who will ensure that our old chum Millborough is going to be featured in a book of the finest quality. Further particulars to follow.